I spent several hours with Gene this morning. He wasn’t under the influence of any pain killers so he was lucid and jovial, but grew short of breath several times—and every now and again he’d grimace in pain. The attending nurse finally had no choice but to put him back on the morphine and that was it—Gene was fast asleep. Despite his legendary optimism, Gene’s situation is tenuous. His family hopes he can undergo a procedure early this week that may alleviate his pain. Regardless, it’s unlikely that my pal will be drawing for anyone anytime soon. 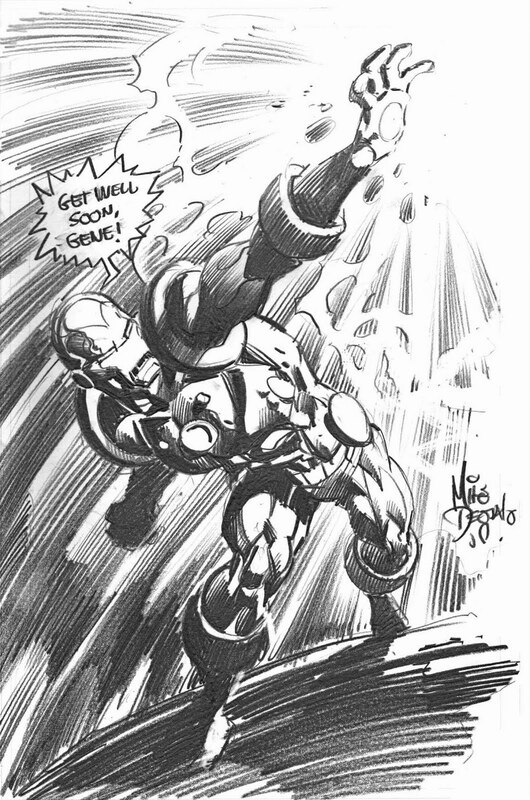 To continue generating what might become much-needed funds, we are selling off the last of Gene’s artwork, as well as some books and comics. Gene hopes to continue signing comics for the CGC Signature Series. If you have comics that you would like to put through this process, please contact me ASAP. 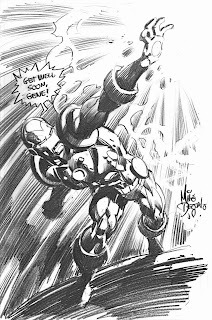 The Gene Colan Garage Sale is now starting--lots of items from Gene. Click here to have a look. I wish all the best for him, he's one of the greatest. Give both Gene Colan and Russ Heath their roses while they're here and not when they're gone. They are in the same pantheon as Jack Kirby, Gil Kane, Wally Wood, John Buscema, Matt Baker, Frank Frazetta and countless other artists who have gone on to glory. Keep up the grand work getting these creators the aid they need.